Come enjoy a peaceful and relaxing stay with Hidden Valley. 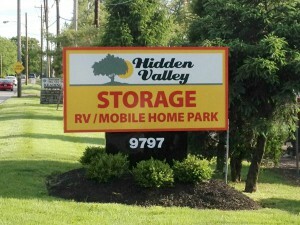 Hidden Valley has 25 lots equipped to handle Campers, 5th Wheels or RV’s. We have short term, as well longer term rates with a minimum stay of one week. We offer short term and long term stays. One-week minimum stay required. Each lot comes with standard 50 / 30 / 20 amp service in addition to water, sewer & garbage as part of the rental fee. For longer term stays Cable TV and Telephone is available. WiFi coming soon! We are open all year around to accommodate any type of stay or vacation. Our facility is completely lighted and fenced for your safety. Park your trailers and RVs with confidence on our all-level grounds. Choose from a variety of stay options. Security deposit of $350. Electricity is transferred to tenant’s name. Security deposit of $325. Electric and Lawn Service are the responsibility of the tenant. Staying for longer than a month?